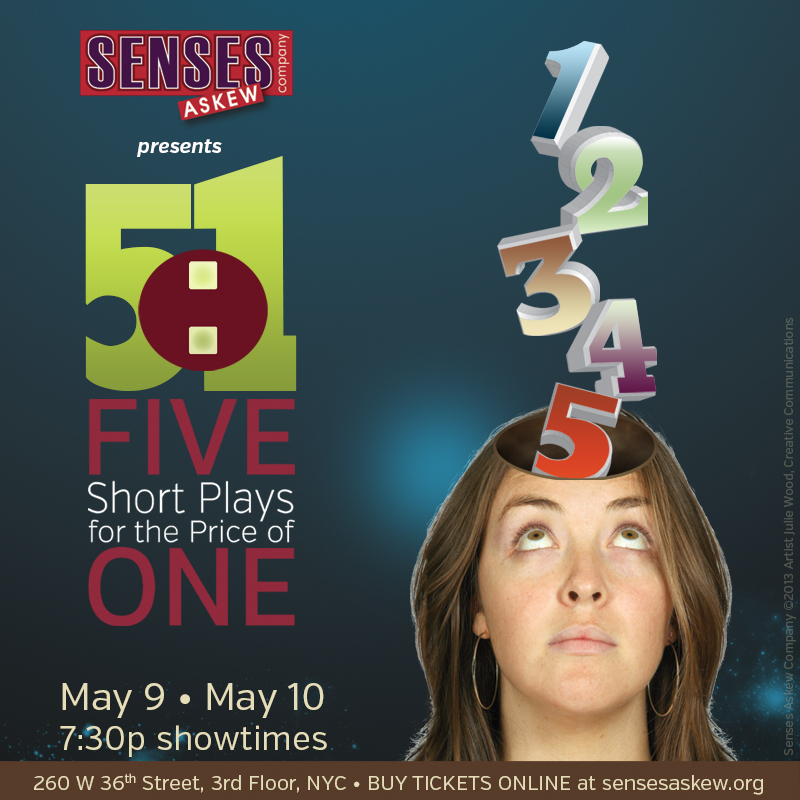 Senses Askew Company: a NYC based theatre group, creates works that utilize all forms of performing arts, to challenge how we experience the 5 senses and communicate our common denominator: the sense of humanity. The twisted lengths teenage twin brothers go through to hold onto each other while their world around them falls apart. Trapped in total darkness for generations, the Sound Tribe tries to bring Full Light back to the world. The last man left on earth to have read a book visits a class for show & tell. A man and a woman awake to find themselves in a black void with no memory of who they are or how they got there. Does sibling rivalry ever die?